with The Waltons and the Waltons Cast! Just as every tree began only as a seed! for Best Supporting Actor in 1974! *Ever wonder what Grandpa Walton's boyhood was like? My Will Geer Biography shares how Will would take walks with his Grandpa and talk to the trees! tribute to our hometown legend, Will Geer. *Will Geer as Grandpa - Picture Page! 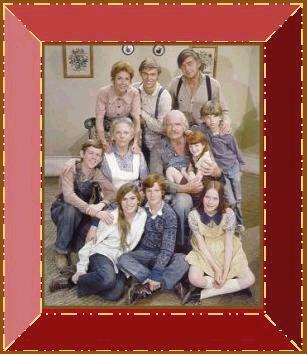 *See What is New and Upcoming with The Waltons and the Waltons Cast! *Download a NEW Walton's Wallpaper! *All about me ~ Drew's Auntie! *My favorite Will Geer and Waltons Links! This is an Unofficial Web-site dedicated to Grandpa Walton! Unfortunately, I never knew Will Geer personally. I am simply a fan of his work on The Waltons and am very proud that he came from my hometown. This is my tribute to him! God Bless! and Goodnight Everyone! This Waltons Webring site is owned by Drew's Auntie.